The Glenglassaugh Distillery was founded in 1875 by general store owner, James Moir who was in need of a whisky supplier. Not only would Moir benefit from this distillery, but due to the need for barley, local farmers would benefit as well. Glenglassaugh Distillery is situated between the Spey and Deveron River and near the fishing village of Portsoy. The views seen from the distillery of Scotland’s Moray Firth is fabulous. Glenglassaugh was purchased by Robertson and Baxter for £10,000 in 1892 and was then sold to Highland Distillers the same year for a £5000 profit. The Robertson family was responsible for the founding of Highland Distillers back in 1887 and in 1999, Edrington acquired Highland along with its powerful brands The Famous Grouse, The Macallan and Highland Park. 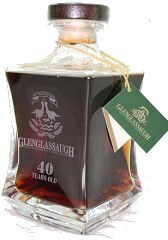 Glenglassaugh, which was always in demand by blenders, was a big contributor to these powerful brands as well as to Cutty Sark and Lang's. Glenglassaugh was seldom released as a single malt although Highland Distillers did occasionally release it to foreign markets. Each Glenglassaugh bottling can offer unique aromas and flavours which include citrus, fruit, liquorice and florals. The vintages from 1960 and 1961 have a consistent sweet and salty distinctive taste. The result is a balance of a clear coastal taste and a suggested flavor of sweetness. 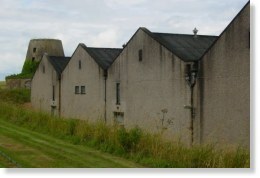 The Glenglassaugh Distillery was mothballed in 1986. Since Glenglassaugh single malts were not widely available, the have become more rare and exclusive. A powerful whisky, reminiscent of the finest rich fruit cake with a medley of fruits and spices. Natural cask strength, non-chillfiltered, no colour added and bottled on site at Glenglassaugh distillery. Nose: Citrus and oak dominate the nose but there is so much more: fruity notes of fat cherries, over-ripe yams, grapes, floral notes and sweet vanilla. There is molasses and hickory notes too. Palate: It is silky, deep, rich and mellow in the mouth with loads of marmalade, juicy dates, burnt raisins, smooth bitter chocolate and Jamaican Blue Mountain coffee notes, mocha too. There’s a whiff of peat and fine, delicate smoke. Finish: A long, fine, firm finish. Bottling Note: This is a very well aged Glenglassaugh. Distilled on the 17th December 1976 and matured for 32 years in hogshead number 2382 before bottling on the 13th January 2009 by Signatory. A release of just 265 bottles. 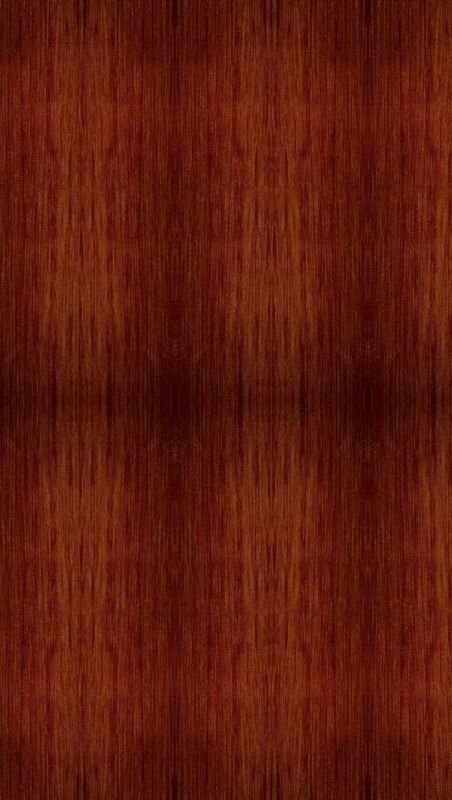 USA Buyers: Click Here for a Full Selection of Glenglassaugh Single Malt Scotch Whisky! 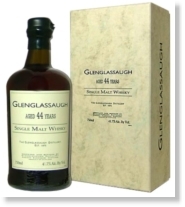 Europe/Asia Buyers: Click Here for a Full Selection of Glenglassaugh Single Malt Scotch Whisky! The peat used by the distillery was found locally and the barley was grown on an 80 acre nearby farm - which was owned by Glenglassaugh. The water source for distillation has always been from the River Glassaguh and for a long, the distillery utilized the fast flow of this river for power. The Glenglassaugh buildings are functional and unremarkable in appearance, yet this distillery has been closed since 1986. It does not appear it will open any time in the near future. Glenglassaugh does not offer a visitor centre. I&#039;m cfseunod by your headline. Did you mean to say a new brewery in Oklahoma or did you mean the products of an old Pennsylvania brewery newly available in Oklahoma? I&#039;m finding that both Lions Head and Stegmaier are brewed in steel country.